South Asia region comprising of India, Afghanistan, Nepal, Bhutan, Bangladesh, Maldives, Pakistan and Sri Lanka (member countries of SAARC and falling under the SAFTA agreement) continues to exhibit strong growth despite some slowdown in 2016 (6.7%) and 2017 (6.5%). The outlook remains robust primarily backed by healthy domestic demand. In 2018, growth is estimated to accelerate (7.1%)[i], except in Nepal, reflecting continued strength in consumption and investment supported by favourable financial conditions and improving external demand. Short-term risks are largely balanced however, medium term downside risks of other macroeconomic vulnerabilities continue to weigh on the region. Fiscal deficit and public debt are on the higher side than most comparator regions. Alongside, policy uncertainties and potential geopolitical tensions globally could also hurt foreign investments and trade thereby deterring pace of economic activity and growth. Global trade volume grew at the fastest pace in six years in 2017 at 4.7%. The next couple of years are expected to see strong merchandise trade growth but is largely dependent on suitable monetary and fiscal policies by the countries. Global trade has been expanding rapidly on stronger economic growth across regions, led by increased investment and fiscal expansion. But the escalating trade tensions are likely to moderate trade growth in the near future. WTO anticipates trade growth at 4.0% in 2019. Trade amongst the major economies of the world namely, US, China, EU are facing competition on tariffs and this could lead to a cascading effect on other countries and market players. The mounting tightness in the international market would invite developing countries to derive benefits out of the stiff competition between the two super powers of the world. Today, India is also imposing tariffs on US imports. Retaliation of tariff imposition between nations could eventually lead to deviation in trade dynamics across the globe. In such a scenario, higher reliance on neighbouring and nations within a bloc or region is likely to gain importance creating integration among them. The shift in focus from Trump’s protectionism policies would throw light on the other emerging bloc of the world-South or Southeast Asia. Due to several factors on the domestic, external as well as uncertainties in the developed nations, this part of Asia is gaining significance. Another crucial development is the efforts towards cross border infrastructure development through various initiatives such as BBIN MVA, BIMSTEC and alike. Thus, the rising focus of South and/or Southeast Asia is drawing attention of investors and market players to enhance its trade, infrastructure, economic fundamentals and overall cooperation and homogenization. Studies are being held on the various aspects of this region’s development and intra-regional trade and its growth opportunities is a prime concern, especially in the current situation of trade and tariffs all over the world. World exports in 2017 stood at around US$ 17.8 trillion, rising from around $ 16.1 trillion in the previous year. Imports also increased to US$ 18.1 trillion from US$ 16.2 trillion in 2016. Trade deficit therefore came in at US$ 0.3 trillion (US$ 253.1 billion) while total trade expanded to US$ 36 trillion in 2017. South Asian total trade is about 2.7% of the world’s total trade. With a strong economic outlook and stable macroeconomic fundamentals, historical political tensions, trust deficit, cross-border conflicts and security concerns contribute to a low-level equilibrium. At present, intra-regional trade contributes only 5% of South Asia’s total trade compared to 25% in ASEAN. For instance, it is 20% cheaper for India to trade with Brazil than Pakistan. In this situation, greater regional economic integration could reduce trade frictions and enable significant gains for the countries. South Asia lacks regional integration and requires major investment push along with boost to travel and tourism. Economic growth in the region is being deterred due to this. It is one of the least integrated regions of the world. Trade between the SAARC countries is also limited as compared to the developed nations. In fact, SAARC nations trade more with other countries like the US and Europe than their neighbouring countries. For instance, we consider India’s trade pattern. Major trading partners of India are given below which shows that among the top 10 trading partners only Indonesia features in 8th position from the south east region. None of the SAARC nations are in the list. followed by USA and UAE. However, highest exports go to the USA and imports is from China. India’s AAGR between 2007-2017 is 7.4%. India’s exports to ASEAN grew 10.5% annually in 2017-18 to US$34.2 billion from US$30.9 billion while imports registered a growth of 16.0% in the same period to US$47.1 billion from US$ 0.6 billion. Total trade between India and ASEAN therefore stood at US$81.3 billion. Despite Indo-ASEAN FTA there is not much progress in terms of full potential trade. RCEP is expected to increase trade between India and ASEAN nations further and explore potential trading opportunities. India trade with RCEP in 2017-18 was at US$226.4 billion with exports at US$ 61.1 billion and imports at US$165.3 billion. With 644 million population and combined GDP of $2.7 trillion, ASEAN is a large economy. Combining India and ASEAN together, it is nearly a US$5 trillion economy, the 3rd largest in the world after the US and China. Given this, both India and ASEAN are very important for each other. Similarly, looking at South East Asian region which primarily includes ASEAN, Regional Comprehensive Economic Partnership [RCEP] (under negotiations) we observe the falling share in intra-regional (intra-ASEAN) as cited above. The trade figures are given below. RCEP as we know is ASEAN + 6 [ i.e. Australia, China, Japan, Korea and New Zealand]. Trade of the RCEP region with the world would be capturing a significant portion of global trade given its composition. In the current situation, by summing individual country’s export and import, RCEP bloc stands at a total trade of US$ 9639.5bn. Given below is a profile of the same. Another important cause for lower integration between the SAARC nations is similarity in endowment of the bigger countries in this bloc. For instance, India is the largest economy followed by Pakistan and Bangladesh. If we look at their resources, endowment and their trade basket it would largely be similar given comparative advantage of these nations being mostly identical. Due to this, trade between these countries are more limited as their requirements are broadly same which would be supplied by nations elsewhere. This also leads to lower regional integration in trade in the SAARC bloc. Thus, as we perceive the changing dynamics of the international trade markets, focus on the eastern part of the world is ever increasing. Geopolitical and trade turmoil on the west are shifting reliance to Asia in particular. Major economies of the South and Southeast Asia have been developing on stronger fundamentals with dependence on external sector demand. Even though, most of the external demand is fulfilled by trade with the US, EU and China but with continuous efforts to strengthen connectivity and cross-border infrastructure integration among the countries in a sub-region or bloc is seen to improve. Also, with several treaties, initiatives and negotiations being undertaken by the policymakers of the different nations it is hopeful that regional cooperation would be enhancing and trade within the region would increase. Amidst growing trade negotiations and tariff competition across the world with existing tariff barriers and free trade agreements between two or more countries, non-tariff barriers (NTB) have also gained importance. To the extent that significant domestic protection is assured with the help of NTBs including quotas, embargoes, sanctions, levies and other forms of restrictions. With existing tariff impositions on goods under different categories, hidden protectionism has been rising over the years. Post the dramatic collapse of international trade in the wake of the financial crisis in 2007-08, fears developed that governments may respond to domestic economic challenges by increasing tariffs and other trade barriers to protect their economies. Such uncoordinated trade policy would eventually lead to a slow down in economic growth. One big difference in how countries reacted to the recent global financial crisis of the 21st century in contrast to the crises of the last century has been a stronger cooperation in international trade policies under the shelter of the WTO that has successfully prohibited a surge in border tariffs. Under the WTO regime, across countries tariffs have been on the decline even though the levels of Most Preferred Nations (MNF) tariffs differ substantially. 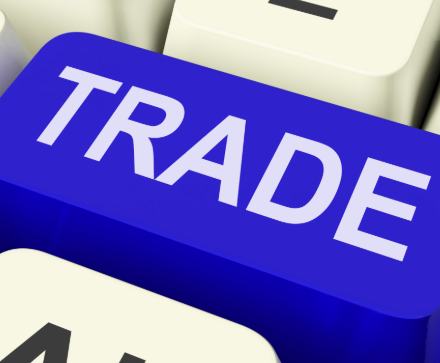 The changing dynamics of trade patterns under the influence of decreasing custom duties and rising trade protection being fulfilled not in the form of tariffs but alternative tariff restriction measures were also adopted under the WTO rules. NTBs since the global financial crash have been increasing with an aim to reduce imports. Since 2009, only 20% of all implemented protectionist interventions can be attributed to an increase in tariffs. In contrast, NTBs accounted for on average 55% of all implemented protectionist interventions. The usage of NTBs increased steadily relative to trade defence measures. While in 2010 only 54% of all protectionist interventions were NTBs the usage of NTBs increased to 61% in 2016. The usage NTBs is highly correlated with the income level of an economy. High income countries appear to use NTBs more often than low or middle-income countries. The United States implemented by far the largest number of NTBs. The two BRICS economies, India and Russia rank second and third among the countries that implemented the most NTBs. Also, Not only have NTBs been increasingly applied as trade restricting measures, but they also have had a significant import reducing effect. On average bilateral imports decrease in response to the implementation of at least one NTBs by 12%. However, identification of NTBs remains a major challenge. Contrary to data on NTBs provided by other sources, the GTA database for example records only very few Sanitary and Phytosanitary (SPS) and Technical barriers to trade (TBT) measures. One reason for this pattern may stem from the fact that other sources like the WTO do not distinguish between NTBs and non-tariff measures. Different to NTBs, non-tariff measures do not necessarily have a protectionist character but could also liberalize trade. Given this, we take note of the SAFTA agreement in the context of Southeast Asian trade and understand the role and significance of NTBs. The SAFTA Agreement, signed in 2004, entered into force on 1 January 2006 and the Trade Liberalization Programme commenced from 1 July 2006. The SAFTA Ministerial Council (SMC) has been established comprising Commerce Ministers of the Member States. To assist the SMC, a SAFTA Committee of Experts (SCOE) has been formed. The total cumulative exports under SAFTA since July 2006 have crossed US$ 3 billion. Data on intra-SAARC Trade flows is not being received from Member States regularly. The SCOE at its First Meeting set up a Sub-Group on Non-Tariff Measures (NTMs) to address non-tariff barriers to intra-regional trade. Six meetings of the Sub-Group were held. At its last meeting on 11-12 June 2011 in the Maldives, the Sub Group completed its task of identification of Non-Tariff Measures/Para Tariff Measures (NTMs/PTMs). It was agreed that the remaining task of categorisation of NTMs/PTMs and their possible elimination and to see whether they are compatible with WTO or not would be taken up by the regular Meetings of SCOE. A Special Meeting of the SCOE on NTMs/PTMs was held at the SAARC Secretariat on 31 July-1 August 2013 in order to go through the Notification of each Member State and to see how those can be eliminated. The Special Meeting of the SCOE examined the Notifications, Responses and Counter-Responses submitted by Bangladesh, India, Nepal, Pakistan and Sri Lanka, and observed that the non-tariff measures and para-tariff measures affecting their exports to other Member States fall into the following broad categories i.e. (a) Procedures; (b) Variations in Standards; (c) Transit, transport and infrastructural difficulties; (d) Para-tariff measures; and (e) Dispute Settlement Mechanism. In view of technical nature of the work involved in categorizing the Non-Tariff Measures and Para-Tariff Measures in appropriate categories as per internationally recognized norms, the Meeting recommended that a Consultant may be appointed by the SAARC Secretariat to examine the notifications on NTMs/PTMs submitted by Member States and to look into all relevant aspects and make suggestions on how to address the trade barriers. The SAARC-Trade Promotion Network (TPN), comprising twenty-eight public and private sector organisations in eight Member States, has also brought out a detailed study on NTMs which was presented to the Ninth Meeting of SCOE (Thimphu, 22-23 July 2014). The Member States have also been requested to give their fresh Notifications on NTMs/PTMs as required under SAFTA Agreement. The Sixth Meeting of the SMC (Islamabad, 16 February 2012) established a Working Group to further reduce the number of products in the Sensitive Lists under SAFTA. In its Second Meeting (SAARC Secretariat, 30 July 2013), the Working Group on Reduction in the Sensitive Lists under SAFTA (Phase-III) reviewed the progress of implementation of decisions relating to reduction in the Sensitive Lists as agreed during Phase-II. The current status of the number of products covered in the Sensitive Lists of Member States before and after the 20% or more reduction is as given below. The Phase-II reduction in the Sensitive Lists has already been implemented by all Member States. The Third Meeting of Working Group on Reduction in the Sensitive Lists under SAFTA (Phase-III) was held in Islamabad on 6 July 2015. It considered the matter relating to further reduction in the Sensitive Lists under SAFTA (Phase-III). The delegations from Member States agreed to the following reduction in the products covered in their Sensitive Lists under Phase-III as given below. The delegation of Sri Lanka agreed to discuss the matter further with their stakeholders so that they could also agree to go beyond 10% reduction.